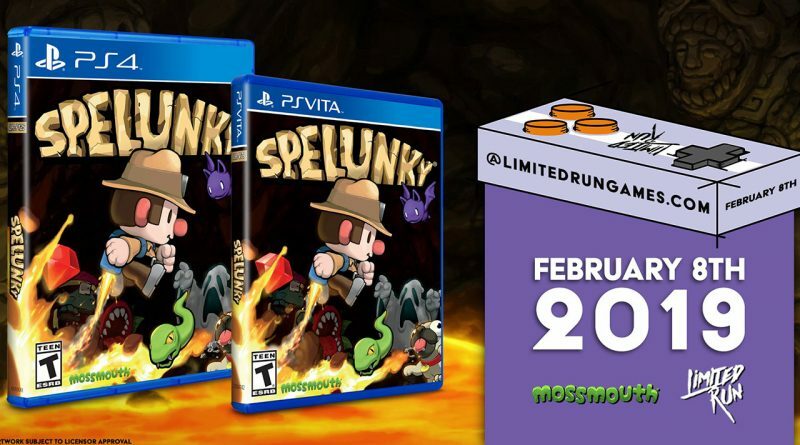 Limited Run Games has announced that the physical version of Spelunky will be available for PS Vita and PS4 on February 8, 2019 at 10am EST exclusively at Limited Run Games. You’ll have complete freedom while you navigate the fully-destructible environments and master their many secrets. To stay or flee, to kill or rescue, to shop or steal… in Spelunky, the choice is yours and so are the consequences!